GOAL Post 2017-6 was published last Friday, but apparently did not receive complete distribution. I’ve been publishing GOAL Post since 2000, primarily in direct e-mail format through my home ISP. As the subscriber list grew, I broke it up into segments of about 200 names each. Every Friday night during session, no problem. Compose message, hit “send” button, and it magically goes out of my mailbox into yours. 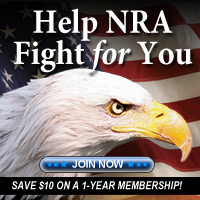 Try wagoal.org or on Facebook its Gun Owners Action League of Washington. 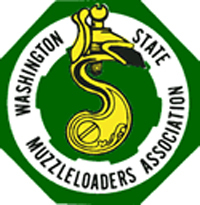 Until last Friday, when all of the batches were kicked back, theoretically as spam I will continue to try e-mail, but I’m working on alternatives, among them, posting GOAL Post on the web pages of the Washington Arms Collectors and the Washington State Rifle & Pistol Association. About 18 months ago, a friend and co-worker created a “GOAL” web site which I never paid much attention to, as he merely posted the current GOAL Post during session. Unfortunately he passed away last year, and at this point I cannot access the site. Two more bills I should have been tracking deal with firearms in the broader sense, but do not come under RCW 9.41, our state’s firearms code. HB 1270, by Rep. Harmsworth (R-43) encourages voluntary use of firearm locking devices by offering a tax saving. A similar law waiving the sales tax on gun safes was passed nearly 20 years ago. HB 1612, by Rep. Orwall (D-33) expands on the suicide prevention program initiated last year, and supported by gun rights organizations. Both bills are still alive. Tonight is the first major cut-off day, when all bills must pass out of their policy committee. Those that are not moving forward are most likely dead for the session. That’s about 2/3 of them, good or bad. The “Bill Status” column below shows the current status for each bill we’re tracking. Basically, if it doesn’t have a position in Rules or a fiscal committee, it’s dead for the session. Remember, nothing is really “dead” until the fat lady sings, on April 23rd. While rare, extraordinary action may be taken to revive a bill, or even file a new one. The good news is that Attorney General Bob Ferguson’s flagship bills banning and/or registering so-called “assault weapons” all died in committee. They tried to salvage the registration bill in the House by watering it down, narrowing the definition of “assault weapon,” deleting magazines, eliminating the annual licensing, etc, but even that couldn’t get the required votes to get out. Stand by for an initiative. The House version of the safe storage bill DID pass, but in amended and watered down form. It’s still a bad bill, as well as totally unnecessary – current reckless endangerment law already covers the topic. Unfortunately almost all pro-gun bills died as well. Bills that have a significant fiscal impact have an additional week to pass out of one of the fiscal committees. That cut-off is next Friday. Keep in mind this is the biennial budget year, and if they fail to pass a budget, we could be looking at one or more special sessions, as happened a couple of years ago. The next critical cut-off is March 8th, when bills must pass out of their original chamber (House bills out of the House, Senate bills out of the Senate). If they don’t make the cut, they’re nominally dead. Most action will be on the chamber (House or Senate) floor, where bills will be debated and passed… or not. After March 8th, those bills that passed out of their original chamber will go through the same process – on the other side: committee hearing and possible action, fiscal committee action if required, then into the Rules committees while awaiting a full chamber (floor) vote. All bills considered on the floor are subject to a roll call vote. Because of their numbers (98 members), the House does it by machine – a quick red-green machine vote, called the Christmas tree (probably the only politically correct Christmas tree in the capitol). The Senate, with only 49 members, does it the old fashioned way – a roll call voice vote. L&J = Law & Justice, Jud = Judiciary, PubSaf = Public Safety, HC = Health Care, H. K-12 = House Early education, Aprop = Appropriations, Fis = Fiscal, W&M = Ways & Means “S” before a bill number indicates Substitute (amended). No public hearings scheduled at this time, but in all likelihood HB 1270 will go to House Fiscal and HB 1612 to House Appropriations. OTHER DATA: Copies of pending legislation (bills), legislative schedules and other information are available on the legislature’s web site at “www.leg.wa.gov”. Bills are available in Acrobat (.pdf) format. You may download a free version of Adobe Acrobat Reader from Adobe’s web site (http://www.adobe.com). You may also obtain hard copy bills, initiatives, etc, in the mail from the Legislative Bill Room FREE OF CHARGE by calling 1-360-786-7573. Copies of bills may also be ordered toll free by calling the Legislative Hotline at (800) 562-6000. You may also hear floor and committee hearing action live at http://www.tvw.org/ (you need “RealAudio” to do this, available free at the TVW web site). GET THE WORD OUT: If you want to subscribe to the GOAL Post by e-mail, send a message to “[email protected]”. Please pass GOAL Post on to anyone you believe may have an interest in protecting our rights. Better yet, make a couple of copies of this message, post it on your gun club’s bulletin board, and leave copies with your local gun shop(s). PERMISSION IS HEREBY GRANTED TO DUPLICATE OR REDISTRIBUTE GOAL POST PROVIDED IT IS REPRODUCED IN ITS ENTIRETY WITHOUT TEXTUAL MODIFICATION AND CREDIT IS GIVEN TO GOAL. 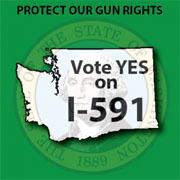 I can be reached at “[email protected]” or by telephone at (425) 985-4867. Unfortunately, I am unable to mail hard copy GOAL Post to individuals. 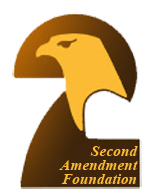 Limited numbers of hard copies MAY be available at the Second Amendment Foundation book table at WAC gun shows.